There are some things in your life that simply come together to make perfect sense for you. One of those things is the purchase of one of the pre-owned Nissan vehicles offered by Ray Brandt Nissan. This is where you’re going to find the right pricing to fit in your budget and a selection of vehicles that will meet your needs when you take a drive on the roads in Elmwood, LA. Come in and take a look at what this dealership has to offer so that you can begin to have the drive that makes sense for you. 2018 Nissan Rouge Sport SV – Let this pre-owned Nissan vehicle become the one that offers you the benefits of a low odometer reading, an affordable price, and an excellent drive on the road. Get behind the wheel and experience the quality you want to enjoy in a vehicle that has the pricing you want during your drive in Elmwood, LA. 2017 Nissan Murano SV AWD – There aren’t many vehicles on the road today that look better than the Nissan Murano. This amazing SUV has the style you want and the quality you’re going to be proud to call your own. Get behind the wheel and see just how easy it is to fall in love with what this vehicle brings to your daily drive. 2015 Nissan Titan S – Do you want an excellent truck to help you get things done? If so, this can be the right one of the Nissan vehicles offered at Ray Brandt to give you the power and performance you need. Check out the pricing and imagine how this truck can be put to work for you in Elmwood, LA. This is a truck you want to take home today. 2017 Nissan Frontier SV 4WD – Are you searching for a midsize pickup truck to be the right choice for your drive? This Frontier can offer you the active performance that’s a lot of fun on the trails that you want to explore. Get behind the wheel and take this beauty for a test drive to see what it has for you. 2017 Nissan Maxima 3.5 SL – Do you want to know what it feels like to drive one of the best Nissan vehicles ever made? If so, you need to get behind the wheel of this Maxima and take it for a test drive. The pricing is affordable and the drive is amazing. You’ll want to take this car home to Elmwood, LA today. Make it yours right now. You want to have one of the pre-owned Nissan vehicles offered with the affordable pricing that makes sense for you. 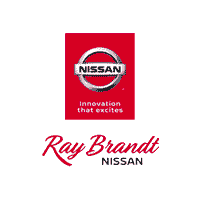 Let the Ray Brandt Nissan team help you find the right vehicle to drive on the roads in Elmwood, LA today. This simply makes perfect sense for you to have the drive you’re looking for.